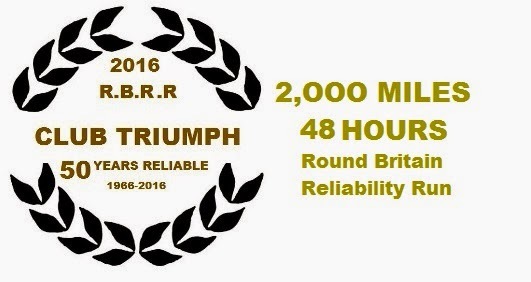 Club Triumph Round Britain Reliability Run: WELCOME.. Welcome to the RBRR Blog. More pages will be added over the coming months that will provide information on the cars,preparation,fund raising,the roadbook,the characters involved and lots more..